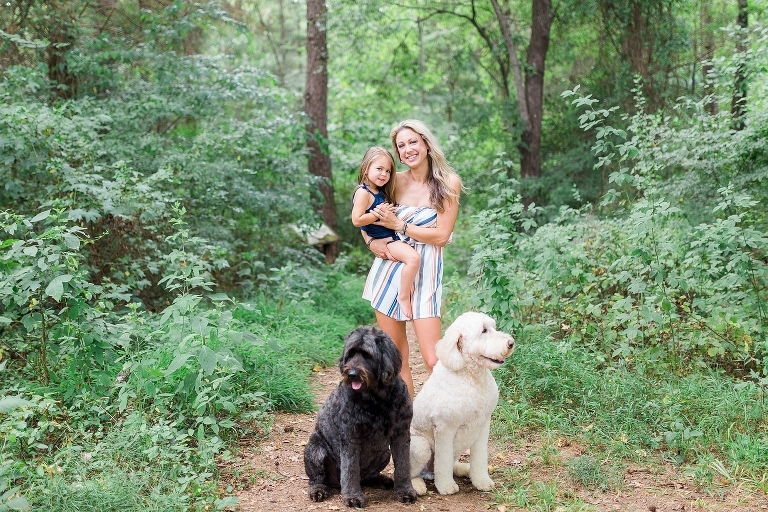 Andrea and her three-year old daughter Natalie had a fun mother and daughter Lake Norman lifestyle photography session. 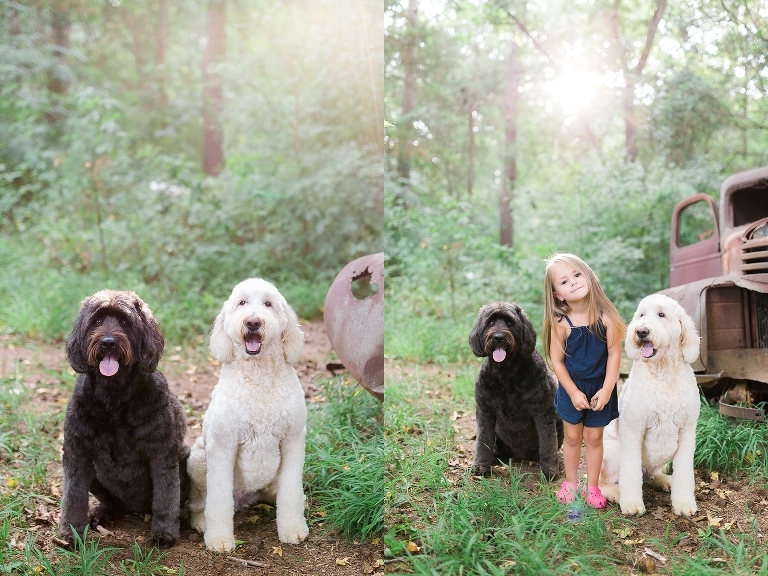 We captured their loving and fun personalities together. 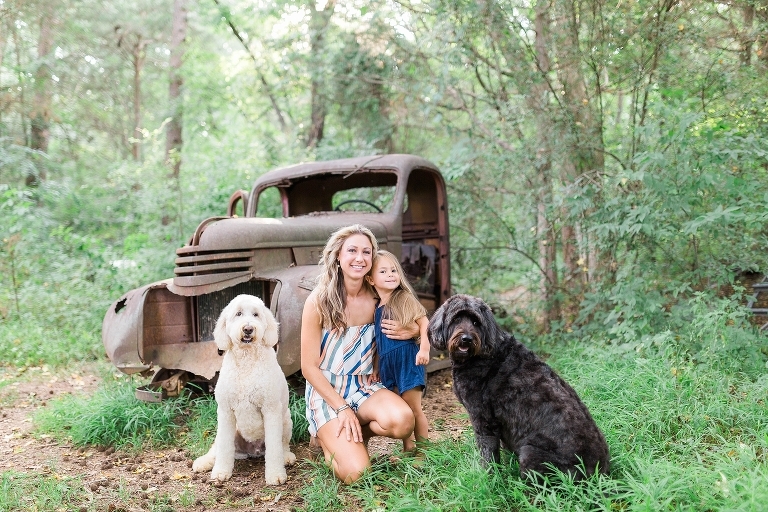 Their two dogs, Jackson and Remington, are golden doodles and they are so sweet; we of course needed to include them! Andrea told me that she really loves the candid style photos which aren’t very posed and are more lifestyle photography. So after getting a few posed ones, I had them just explore nature and capture whatever was happening between them. Natalie let loose, kicked off her shoes, and had fun!